Ruinart is known internationally for the quality of its chardonnay grapes and the purity and aromatic finesse of its cuvées. This illustrious Champagne house has been in business since the beginning of the 18th Century. he Abbey of Saint-Germain-des-Prés in Paris where he became aware of worldly society and the « bubbling wine » much loved by young aristocrats. 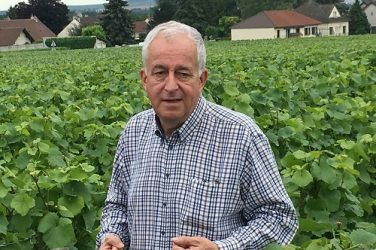 He had the vision and intuition to see that this wine had a very promising future and passed on this conviction to his brother and nephew who still lived in Champagne. 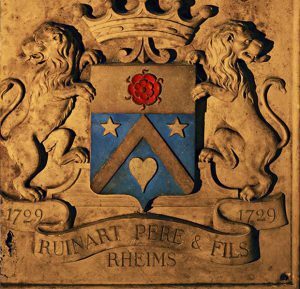 In 1729, twenty years after Dom Thierry Ruinart’s death, his nephew, Nicolas Ruinart, founded the eponymous Champagne house – the very first in history. It was also the first producer of rosé champagnes, as records of the company’s accounts show that these were being made in 1764. 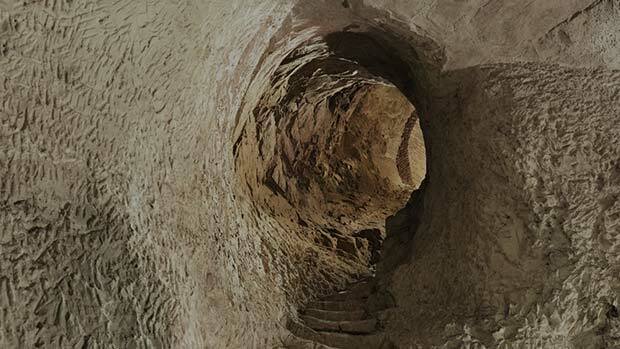 Since the middle of the 18th Century, Ruinart’s premises have been in Reims, where it owns some fantastic former chalk tunnels, now used as cellars. In 1931 these tunnels were granted historical monument status by the then Ministry of Education and Arts. Today they are part of the « Champagne Hillsides, Houses and Cellars » UNESCO World Heritage Site. These truly exceptional cellars are perfect for refining champagne over time and we can highly recommend a visit. At a depth of 38 m and with three levels and 8 km of tunnels, the experience is mind-blowing. The Ruinart family ran this venerable Champagne house for more than two centuries. Today, it is owned by the LVMH group but still retains a high level of independence and its own unique style, nurtured by the talented cellar master Frédéric Panaïotis. For many years, Ruinart has enjoyed privileged relations with the arts world and every year it commissions an artist to create an exclusive piece that is then taken as the theme for presentation boxes of prestige cuvées. 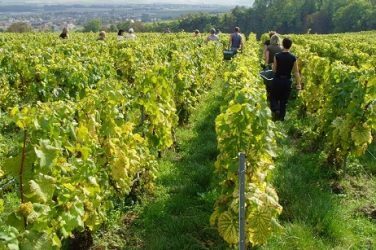 The company’s vineyards are located primarily on the Montagne de Reims and complemented by supplies from a few other very selective areas. The fresh and aromatic chardonnay grape is at the heart of all Ruinart cuvées. These champagnes also have a distinctive mineral quality, finesse and purity. 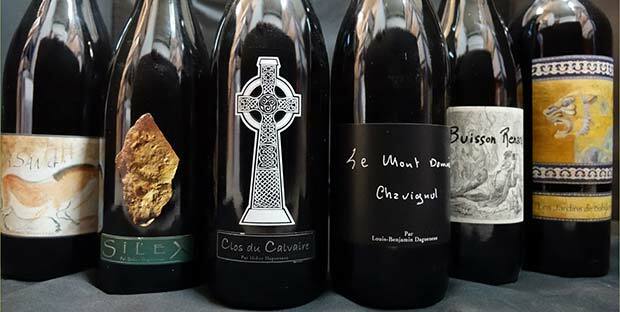 The house produces five different cuvées presented in bottles inspired by 18th-century styles. For the past fifteen years, Ruinart has been reducing the sugar levels in its champagnes to enhance their finesse and balance. These light and elegant champagnes make the perfect aperitif. « R » de Ruinart is the fruit of a skilful blend of wines produced from chardonnay (40%), pinot noir (50%) and pinot meunier (10%) grapes. A golden, fresh and fruity champagne, it has a subtle aroma of white pear, with a touch of dried fruit and floral notes. It makes both an excellent aperitif and the perfect accompaniment to a meal. Grapes for the Brut Rosé are harvested by hand and fermented in temperature-regulated, stainless steel vats. 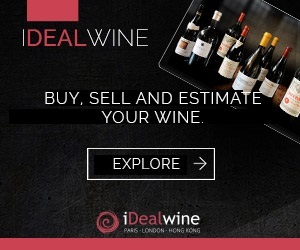 The wine undergoes a malolactic fermentation process and is dosed at 6 g of sugar per litre. The high proportion of chardonnay (45%) gives the champagne its elegance and a fresh, aromatic quality. Its drinkability and fruitiness come from the pinot noir grapes, following a short maceration and very gentle extraction process. This rosé has a beautiful pomegranate pink colour with a subtle orange shimmer. Its nose suggests the delicious aromas of red berries and exotic fruit. This champagne is suitable both as an aperitif and throughout a meal. Crafted from wines from different years, produced exclusively from the chardonnay grape, Ruinart Blanc de Blancs is smooth and rounded with notes of peach and apricot. A very balanced champagne, its beautiful pale gold colour is enhanced by its elegant clear bottle. In most champagnes, the chardonnay grape only makes up one quarter to a third of the blend, with the vast majority of grapes being pinot noir and pinot meunier. Ruinart’s prestige cuvée, « Dom Ruinart » is made exclusively from chardonnay. At Ruinart, time is not of the essence and of all varieties in the region, wines produced from chardonnay are the slowest to develop. The company’s « Chardonnay Policy » requires an exceptional ageing period in the cellars – an average of nine years for a Dom Ruinart. This champagne has a glistening golden yellow colour and produces a delicate and lingering line of tiny bubbles. Its aroma boasts distinctive and complex notes of dried fruit, lime flower and may blossom tinged with a beautiful pure quality. Spirited, fresh and elegant, Dom Ruinart is a perfectly balanced, high-end champagne. The Jacquesson house is incontestably one of the best signatures in Champagne. 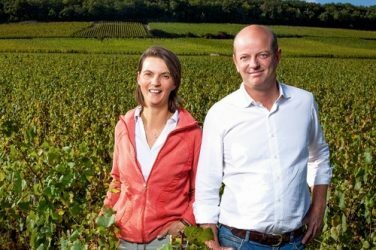 The story of how they started is unusual: that of a Champagne house turned winemaker.